LUSAKA, Zambia (PAMACC News) - AGCO, a worldwide manufacturer and distributor of agricultural equipment has appointed a new Joint Venture company between South Africa’s Barloworld and Germany’s BayWa as its national distributor for Zambia. The Joint Venture between Barloworld and BayWa will be responsible for sales and support for AGCO’s Challenger and Massey Ferguson brands of farm machinery. They will each hold a 50% stake in the new venture. 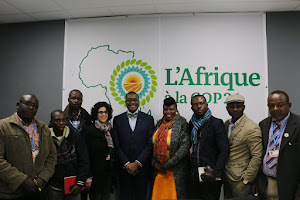 The Joint Venture combines the expertise and dedicated resources of Barloworld and BayWa in support of AGCOs Sustainable and Inclusive Mechanization Strategy in Africa. Announcing the development Thursday in Lusaka at the on-going African Green Revolution Forum (AGRF) AGCO Senior Vice President for Europe, Africa and Middle East Rob Smith said the Agricultural equipment firm was delighted that the two leaders in agricultural equipment distribution have joined forces to support it serving the Zambian market. “Using our 150ha Future Farm near Lusaka, we established that it takes up to ten days to plant a one hectare farm of maize as compared to six hours using simple but affordable mechanized tools for emergent farmers such as planters”, said Dr Smith, highlighting the need for tailor-made and affordable mechanization for about 77% of Zambian farmers who still use basic tools of production. 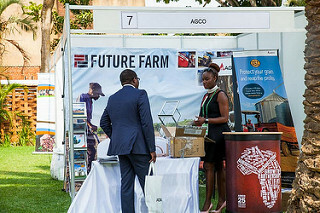 As part of AGCO’s investment in Zambia, the company has established a 150ha Future Farm, providing education and training on integrated agricultural solutions, hands-on experience with new technology appropriate to local markets. And Barloworld Managing Director Godfried Heydenyrch emphasised the importance of agricultural mechanisation to emergent farmers adding that its partnership with BayWa would be helpful in providing region-specific resources and solutions to the agriculture value chain. Meanwhile on its part, BayWa believes in markets like Zambia where agricultural operations are so varied, the use of modern technology geared towards the needs of the market is instrumental in improving productivity. “This is exactly where BayWa and Barloworld can contribute their experience from successful mechanisation projects on farm operations of all sizes”, said Roland Schuler, member of BayWa’s Board of Management. Barloworld is a South Africa company with an annual turnover of R62 billion employing 20, 000 people while BayWa is a worldwide corporate with operations in the core competencies of trading, logistics and supplementary services in its core segments of Agriculture, Energy, and Building Materials. AGCO, which has been operating in Zambia for the last three years, is a global leader in the design, manufacture and distribution of agricultural equipment.